Supports the health of the respiratory system, immune system, nervous system, sinuses, stomach and bowels, and the general well-being of the body. Clears heat, resolves toxin, dispels wind, relieves cough, opens the nasal passages, brightens the eyes. In Chinese culture, herbal studies and practice is part of our daily life. 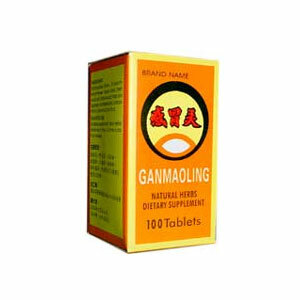 Gan Mao Ling has been formulated to assist the body’s abilities to cope with the discomfort during the cold seasons, and maintain our body’s well-being. For the common cold and flu. Use for late stages of pathogenic wind with symptoms of flu, fever with chills, headache, sore throat, red eyes, stiffness of upper back and neck, nasal discharge, general aching, and swollen lymph glands. Useful in ear infection, sinus infection and viral pneumonia. It may be used as a preventative when exposed to flu or common cold. Adults, Take 4 tablets, 3 times a day or as needed. This formula contain several cold or cool herbs. Prolonged use may cause stomach upset or loose stools. Do not give to very cold or shivering patients. Monitor use accordingly. Do not use during pregnancy. Not for long term use or for use in excess of recommended serving size. Use with caution in the case of heart problems.